Author: Swift, Graham Set In . . . Description: Four men gather in a London pub. They have taken it upon themselves to carry out the last orders of Jack Dodds, master butcher, and deliver his ashes to the sea. As they drive towards the fulfillment of their mission, their errand becomes an extraordinary journey into their collective and individual pasts. 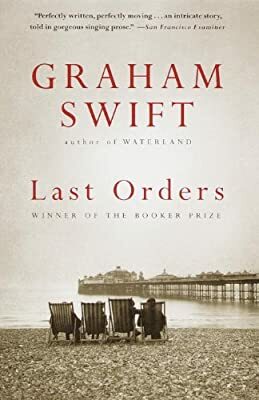 Braiding these men's voices, and that of Jack's widow, into a choir of sorrow and resentment, passion and regret, Swift creates a testament to a changing England and to enduring mortality.